The information posted on this site are the opinion of the author and should never be considered professional financial advice. While I do my best to ensure the information on this site is accurate, I do not claim all content is. I am an amateur investor. My Own Advisor is not a financial professional, tax expert, insurance guru or accounting whiz. 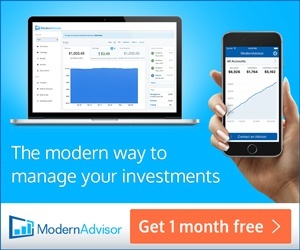 My Own Advisor is not responsible for any investment decisions you make. You should consider consulting a financial professional before making any important investment decisions. All financial decisions are yours and your responsibility. Any transactions I publish or any investment details from my own portfolio that I choose to disclose are not recommendations to buy or sell any securities. In no event will My Own Advisor be liable for any loss or damage, indirect or direct, arising from any content including advertising on this site. 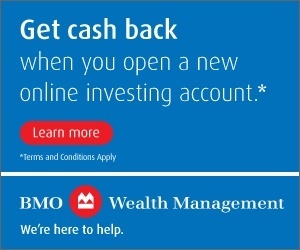 This site operates with the intent to help you save money and invest for the better. Articles on this site are written predominantly be me. From time to time articles do appear from other authors. I do not post any articles related to gambling, adult-content, or payday money loans. These things are not in the best interests of investors. When visiting My Own Advisor, the IP address used to access this site may be logged or masked along with the dates and times of access by Google Analytics. This information is not shared and I won’t share it. This information is used only to analyze site trends. Any recorded IP addresses are not linked to personally identifiable information. This page will be updated periodically to reflect changes in disclaimer and/or privacy practices. I allow third-party companies to advertise on my site. These companies may use non-personally identifiable information (e.g., click stream information, browser type, time and date, subject of advertisements clicked or scrolled over) during your visits to My Own Advisor just like millions of other websites. These companies typically use a cookie or third party web beacon to collect this information. To learn more and be transparent about this behavioral advertising practice click here. This blog may have third-party ads served up at any time. I do not make any claims to accuracy of these ads, and these ads do not necessarily represent my personal views or opinions. There may be affiliate links and partnerships throughout the blog. I may receive compensation from some articles that are paid for by advertisers. Compensation includes the words “affiliate” or “partnership” in the article. You are welcome to contact me to ask me any questions about how I am compensated for my time, maintaining the blog, posting articles, or other. Thanks for reading and good luck with your saving and investing journey. I hope this site helps you.